Staff note: We’ve been trying to find a way to restore the missing pics to this article but haven’t had any luck. Hopefully the author will be able to help us get the pics loaded back up! was able to recreate it almost exactly the same, but we did make a few changes. Enjoy! Then it was time for them to go up! but I can't seem to find a picture of that. Then the support boards for the roof were put up, and then topped with plywood and shingles. 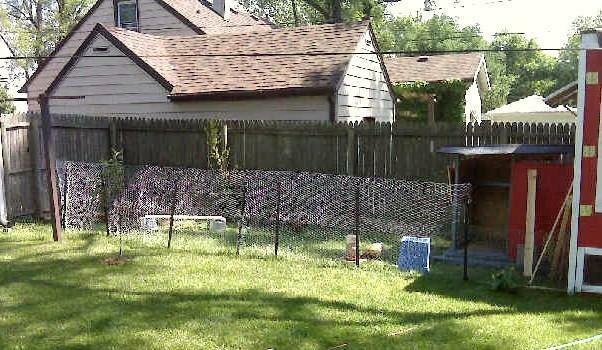 After the roof, we added the chicken wire to the run, and put a door in the run also. 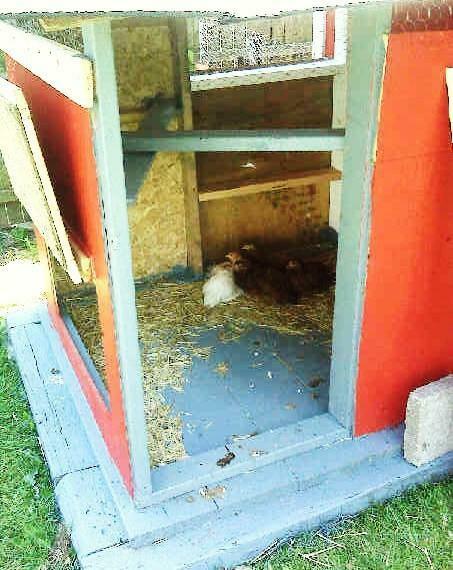 The outside coop door to get eggs and the double doors inside the coop were also added. All three windows were screened with chicken wire to provide venting. The windows were then also covered to keep out rain, but they can be propped open to let in lots of fresh air! My son did an excellent job of helping me paint and get things ready for the girls to move in! 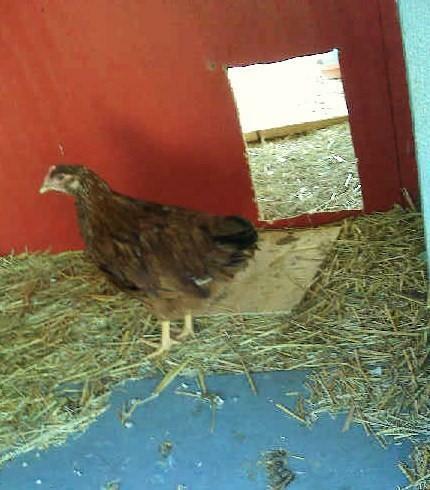 And here are the girls taking their first steps out! 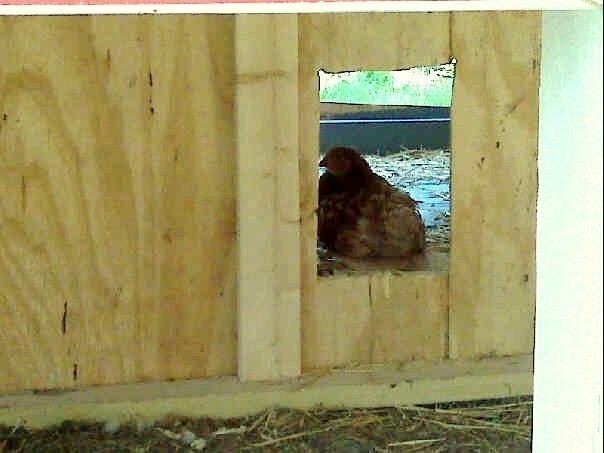 A few days after they moved in, I also put up some roosts in the pen, and a small garden of lettuce and brocolli for them to eat off when it gets bigger. SO, I needed more room!!! 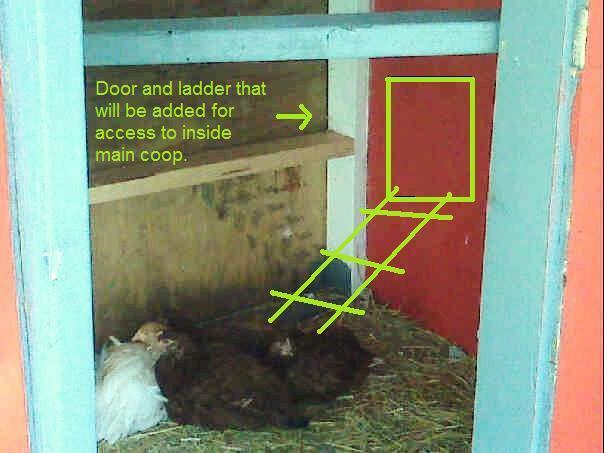 The open space above will be covered with chicken wire as soon as I cut another hole inside for them to access the main coop. 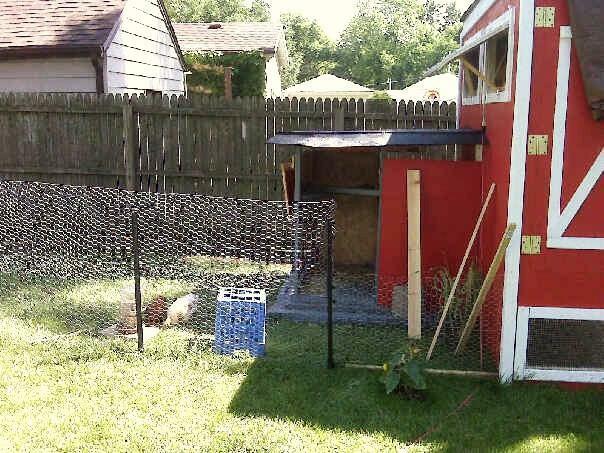 The new addition I made to give them more runspace, is currently just a cheap temporary fence to give them some free range space. It will eventually be made more permament, but for now, they haven't yet tried to escape. 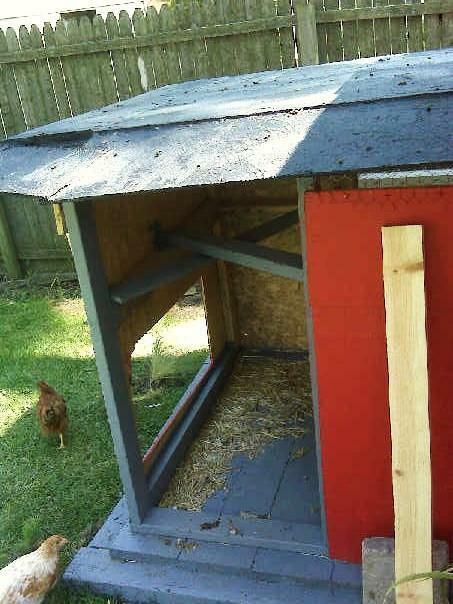 "Casa De Huevos Lux Interiors Chicken Coop"
Thanks for sharing all the pictures in the design and build of your cute chicken coop. Hope the girls are enjoying it. 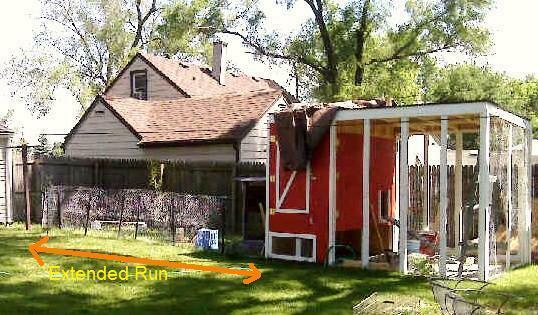 While I love the finishing and space this coop sports, it could use some better roofing. All in all, quite thoughtful!